Best Tea For Weight Loss – Top 10 Choices! 1. Okinawan tea is our first candidate for the title of the best tea for weight loss. This variety of Green tea is famous for its interesting origins. It was drunk by residents on a Japanese Island, named Okinawa. Research done to the locals confirms their trim waistlines are greatly aided by this ancient green tea variety, as it helps weight loss and is known to promote youth with its many antioxidants. Green tea and weight loss have been linked for some time in the 21st century, and studies are still being conducted on both people and animals, to reach further answers. 2. Feiyan tea is next on the quest to find the best weight loss tea. It is a Chinese herbal tea, and it is a fragrant blend of herbs and flowers for someone to sip throughout the day, and aid metabolism and weight reduction. Feiyan tea includes: green tea, lotus leaves, cansia seeds, and vegetable sponge. What are all these wondrous additions to the basic green tea? Well, lotus leaf extracts were combined with L-carnitine to help relieve obesity’s symptoms. This mixture was tested to prevent adipogenesis, which is known to us as the formation of fat tissues in the body. As a result, Japanese scientists tested lotus leaf extract on obese mice, and the absorption of fat and carbohydrates was slowed down, to the happiness of the mice. Another benefit the mice shared was increased energy and faster metabolism, which makes this tea one of the best tea for weight loss options to be considered. Cassia seeds are loaded with chemicals such as obtusin, and chrysophanol, which means they benefit the body with lowering blood pressure, removing heat from the liver, and aiding with bowel movement. Vegetable sponge is also known as the Luffa plant. The luffa helps our body detoxify, and it is also known to promote blood circulation and acts as an anti-inflammatory. These teas are all found at local health stores, sometimes even at Supermarkets. But when looking for the best tea for weight loss, don’t expect supermarkets to have the pure, sugar- free tea varieties. Most pure tea varieties are better found in Chinatown or the health store. 3. Matcha Lemon Ginger tea is an energetic mix indeed. There is Matcha ceremonial Green tea, and there is also lemon with organic ginger, hibiscus flower, and the blend is made all the more sweet with coconut date sugar. This is a cleansing mix. Ginger promotes flushing out toxins and gives the digestive system a rev. It also lowers cholesterol. Ginger is purifying to the blood and it even stimulates the body’s enzymes which help metabolism. Green tea is the true weight loss aid, especially matcha, which is a super type of green tea. Hibiscus is a mild diuretic, and lemon is anti-inflammatory and adds flavor to the blend. Its highly citric content actually improves conversion of stored fats. This blend can be drunk hot or can be mixed with milk and water, then heated. It’s good to drink before and after meals. 4. From South America comes another revolutionary weight loss tea, titled Yerba Mate. In Argentina, they believe it to be the best tea for weight loss. This tea shrinks appetite. It is a spicy herbal brew. In research labs, one group was given supplements spiked with Yerba Mate and these people lost over 10 times more than people with a regular vitamin supplement. In the Universite de Lausanne , in Switzerland, it was proven by Lynn Anderson , N.D. PhD. That the tea has great power in melting extra lipids because it creates a Thermogenic effect in the body, meaning the body turns calories into heat. 5. Wu Yi Tea. This tea is also known as oolong tea. It is an ancient tea that’s been around for over four hundred years. Oolong is processed different from green tea, although they come from the same plant. Green tea is heated to stop oxidation of the leaf. The cell structure is broken because the leaves are then rolled. Oolong tea is plucked, kept under careful controlled conditions, and the leaves oxidize. These leaves are not broken, so the cell structure is stronger. In many Japanese studies, people believe it is the best tea for weight loss, and people were tested to see why Oolong tea is more beneficial than Green tea. Is it just the caffeine ingredient? Or was it something more? Participants had 12% more fat burning after drinking full strength oolong tea, as opposed to caffeinated water. So, drinking oolong tea can promote your body to burn fat for energy, instead of storing it into your jeans. This is great news for any dieter. 6. Tava tea. Tava tea is a blend that contains Sencha tea. This tea is a variety from Japan, where it is grown. The tea leaves are steamed instead of fried, and this prevents the leaf oxidation from happening in the first place. The clever Japanese have cultivated the full nutrients of the leaves. Tava tea is similar to Pu – erh tea (discussed afterwards) due to its natural chemical “ Catechin Polyphenol “ , this tea also creates a thermogenic effect. It blocks the fat from absorbing into the body, and instead gets eliminated through heat. Tava tea also seems to adjust glucose levels in the body, so it’s great for people with diabetes, and it could be the best tea for weight loss, and sugar maintenance. 7. Leptin Weight loss tea is yet another candidate for the best tea for weight loss. Leptin has a slimming drink series. Within the blend there is added HCA ( hydroxyl citric acid) and a South Asian extract of a tropical fruit: garcinia cambogia. HCE Garcinia Cambogia is blended with Green tea, su- cola fruit concentrate, and su- enrichment parsley. Garcinia cambogia comes to us from Indonesia, it seems we can use its benefits without having to travel there. This plant is reputable for herbal appetite suppression, and energy increase. It is also sometimes used in weightloss supplements, but is still being researched and studied further. The Cola fruit concentrate contains caffeine, so it promotes more energy and a slightly faster metabolism. 8. Black Tea may not be normally thought of as a tea to lose weight. It is found in many English cupboards, it is introduced to us either daily, or when we are getting sick. Regular drinking of black tea has its benefits. In itself, because of lifestyle choices people make, black tea can reduce your calories by replacing your sugary sodas, alcohol, or other sugar infused juices. Studies seem to show that black tea increases fat synthesis and fat oxidation by the liver, so it helps humans treat overweight problems. Black tea also has properties which reduce stress. When stress is reduced the body doesn’t produce as much coristol. Coristol in high amounts contributes to belly fat accumulation in the body. Black tea would be the best tea for weight loss, for those who prefer a quick and uncomplicated morning and evening routine. 9. Red tea is also named rooibos. It is a rather African – sounding name, and indeed comes from South Africa, derived from the plant Aspalathus Linearis. This herb became famous in the late 1960s, say students of the University of Pittsburgh Medical centre. The herb also protects cells from stress caused by oxidation, and eliminates liver carcinogens. Perhaps the most key property of red tea as it relates to weight loss is that it helps control blood- glucose levels, again, good news for our diabetic friends. 10. Dandelion tea weightloss is another concept. Yes, yes. Those pesky dandelions that grow on your backyard actually have health benefits. Who knew? We did. How does the tea accomplish weight loss? The tea acts like a diuretic. It helps the body retain less water. It slims the silhouette of the body, and the Chinese think of the dandelion as a favorite to treat digestion problems and inflammation. It also helps clear out constipation, and soothe heartburn. Since the kidneys excrete salt and water from the system, the water is no longer retained, and there is some short term weight loss. 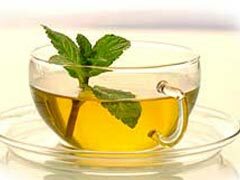 Green Tea and Weight Loss - Myths and Facts!